Below we've centralized important reviews, ratings, and facts about this company from the web's most prominent business directories, including the Better Business Bureau, Trustlink, Yellow Pages, Yelp and others. AJPM (www.ajpm.com), or Affordable Jewelry and Precious Metals, is a jewelry and precious metals dealer that has several storefronts in and around the Portland, Oregon metro area, including locations in downtown Portland; Portland's eastside; Tigard, Oregon, and Vancouver, Washington. The company specializes in the sales of gold, silver, and platinum bullion coins and bars, including pre-1933 gold. They also buy scrap gold from individuals at their local storefronts. AJPM was founded in 1991 by owners Rodney Scott and Vicki Scott. Each AJPM storefront has its own management staff. The owners assist in management mainly at the downtown Portland location. You can learn more about the managers at each location by visiting the About Us page on the AJPM website. As you can see by the ratings and links above, AJPM has a relatively positive longstanding local reputation as a precious metals dealer in the Portland metropolitan area. While they've maintained a 0-complaint record with the BBB, their track record isn't perfect, as there have been several complaints made on sites like SiteJabber and Yelp. AJPM's website does not affiliate itself with any gold IRA-related services or IRA custodians. They operate solely as a precious metals and jewelry provider. Gold Bullion – AJPM's catalog of gold bullion coins and bars, which is currently limited only to 1 oz Perth Mint bars, 1 oz American Gold Eagles, 1 oz Australian Kangaroos, 1 oz American Gold Buffaloes, 1 oz Canadian Gold Maple Leafs, and 1 oz South African Krugerrands. Scrap Calculator – calculates how much money AJPM would be willing to pay you for a specified amount of precious metals. How to Order – this page provides detailed instructions and information on the ordering process and shipping costs involved in purchasing precious metals from AJPM. Choosing the right IRA custodian and/or previous metals provider is not an easy decision to make, as you're trusting these companies with a significant portion of your retirement savings. 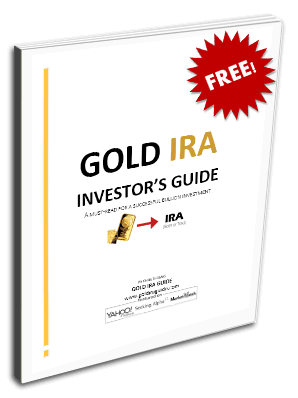 Fortunately for you, we've drastically simplified the process of comparing gold IRA companies by centralizing each company's ratings and overall reputation into succinct reviews like the one on this page. If you're an owner, employee, associate, or representative of AJPM and you believe some of the information on this page could be false or outdated, please do contact us to bring it to our attention. We strive to give our readers the most accurate and up-to-date company reviews. On our list of the top 70 gold IRA companies we ranked Regal Assets #1. You may be wondering why. First of all, Regal Assets has the best online reputation hands down, with more than 540 positive review on Trustlink and a highest-possible AAA rating from the Business Consumer Alliance. Regal Assets has also been ranked at the #20 spot in Inc Magazine's list of the top 500 financial services companies. To learn more about this company check out our full Regal Assets review. Alternatively, if you need quick advice just enter your email address below to receive a free investor's information kit.